This guide is a massive checklist in interface design. Here are 125+ best practices in UX/UI of web design and mobile interfaces. Welcome to a huge list of best practices in user experience (UX), user interfaces (UI), and interaction design. Whether you’re designing a website or mobile app, you’ll learn 125+ tactics to optimize its usability. PDF Bonus: You can click to download the PDF so that you can reference the guide moving forward. I organized these best practices into various categories and strategies. 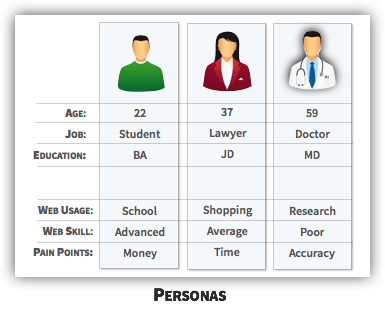 Click a strategy to view SPECIFIC examples and applications. Every interface should have a clear starting point. Where should viewers look first? Make it clear. Control the user’s experience by guiding them through the interface. Where should they look first, second, and third? Establish that hierarchy. We’re inundated with stimuli. According to gestalt psychology, we try to overcome that chaos by simplifying our perception. We group things. We categorize elements. We look for the whole. 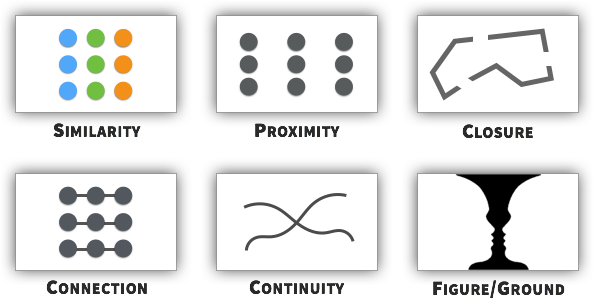 Some principles include: similarity, proximity, closure, connection, continuity, and figure/ground. Sometimes you’ll need to adjust the interface in front of the user. Make those changes noticeable, yet nondisruptive. Our mental focus is finite. Unnecessary elements will deplete those resources. So keep users focused on the important information and functions. Nowadays, most browsers hide scroll bars when they’re inactive. You need “scroll hints” to communicate whether content exists beyond the fold. Now that you’ve captured and directed the user’s attention, help them achieve their goal. Predict the user’s intention. Then position that goal as close as possible. Oftentimes, users will pogo stick. They click an item to look for information. Then they’ll return to the previous page to repeat that process with another item. That’s poor usability. Minimize pogo-sticking by placing important information on primary pages. If you don’t like the extra clutter, you could include that information on hover (see next tactic). Reduce uncertainty by conveying all pertinent information. Users prefer different workflows. Create different paths for each goal, and let users choose the most appropriate path for their workflow. Prepare users for each interaction. What will they need? How do they proceed? Before users interact with an element, they should understand the intended outcome. Are users making progress? Was their interaction successful? Let them know. And entice them to continue. Oftentimes, we solve surface-level needs. Go deeper. Always brainstorm why users need certain features or information. Then solve the underlying intent. Never make the user perform math. Let the computer handle it. Interfaces are like airports. Without a “you are here” marker, users can get lost. So create those markers. Choices require effort. Reduce that effort by simplifying those tasks. Creativity is great. But don’t stray far from a conventional design. Users are accustomed to certain layouts and structures. Those conventional designs are popular because they work. When users interact with your interface, they should experience real-time feedback. Was something successful? Was it unsuccessful? What changed? Eliminate all unnecessary waiting periods. If users need to wait, then minimize those negative effects. Blue reduces arousal (and increases relaxation). With blue loading elements, users perceive quicker loading times (Gorn et al., 2004). See my article on color for more detail. Don’t force the user to remember anything. Keep all pertinent information in the open. Avoid inline labels that disappear when users click inside the element. 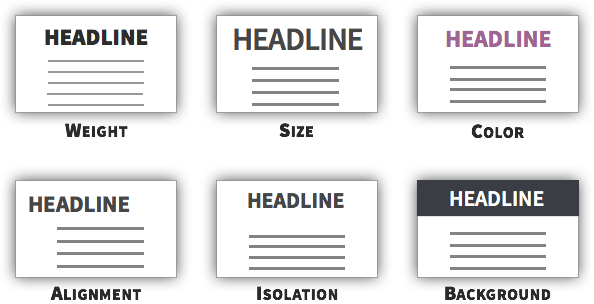 Users should identify which elements are interactive (and how to interact with them). If you’re familiar with UX/UI, then you probably know signifiers and affordances, popularized by Don Norman in The Design of Everyday Things. You can create most of these icons using various shapes in PowerPoint or Keynote. In most cases, clarity trumps creativity or jargon. Most users will process your content by scanning it. And you shouldn’t fight it. Embrace it. Make your interface more conducive to scanning. Obviously, text should be readable. But here are some tips to make it more readable. 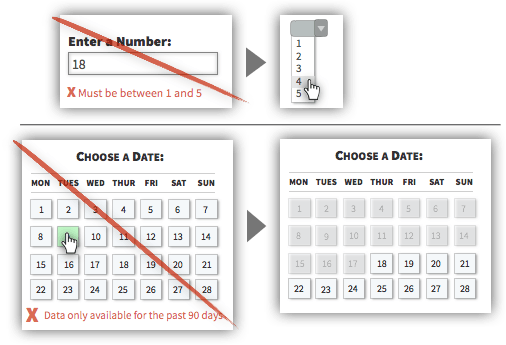 With inconsistent patterns, users will need more time to learn your interface. Simplify it by maintaining a consistent layout and appearance. Create a document summarizing the design specifications for each element in your interface. Need inspiration? Look through Mailchimp’s style guide. Designs are more usable when they’re aesthetically pleasing — a principle called the aesthetic-usability effect (Kurosu & Kashimura, 1995). When some people choose a matching typeface, they search for a font that looks similar to the existing one. But that’s the wrong approach. Oftentimes, the similarity will look like a mistake. Instead, be deliberate. Choose typefaces with noticeable contrast. If you’re a newb designer, you can choose a serif vs sans-serif combination (serifs are the “twigs” on the ends of letters). Your users are different people with different goals. Design your interface so that it’s compatible for everyone. 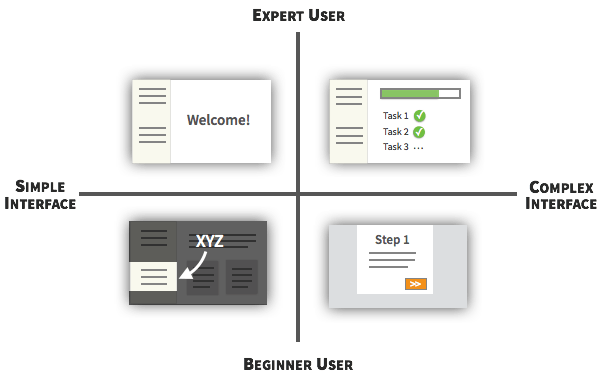 Your users will be novices, experts, or a mixture. Design your interface accordingly. Those four approaches align nicely in a 2 x 2 matrix. Use the following diagram to choose the best approach for your interface. Use open card sorting if you want to see how users determine or conceptualize the menu categories. 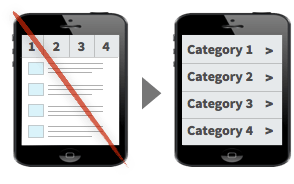 Use closed card sorting if you want to see how users organize existing elements into pre-determined categories. Users will have different needs. 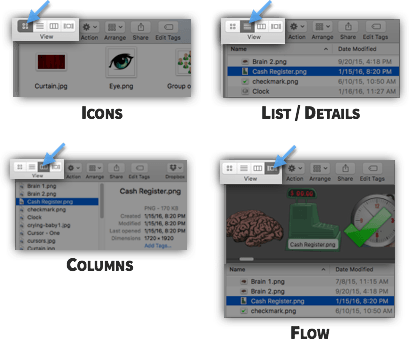 Customize your interface toward those different workflows. Many users will page park. They’ll open tabs to read later. 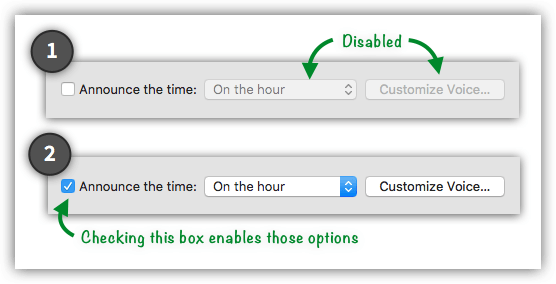 Make your interface accessible to people with disabilities. Not only is it a best practice, but you could also face legal consequences (depending on your product). Around 8 percent of males are colorblind (Chan, Goh, & Tan, 2014). Never convey meaning through color alone. Always offer additional cues. Users should be able to enter a wide range of input without consequences. Your interface should work in all environments (e.g., devices, browsers, etc.). In most interfaces, errors are unavoidable. If they do happen, help users overcome them quickly and easily. When designing your interface, don’t immediately focus on solutions. Rather, try to make errors impossible to occur (referred to as poka-yoke). Don’t tell users to click “Submit” once. If they can click more than once, they will. Instead, disable buttons when users click them. That way, duplicate submissions are impossible. 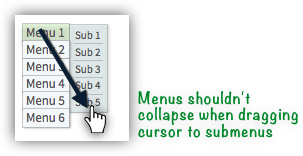 What are common errors in your interface? Identify signals that are inherent in those errors. Then monitor when those signals occur. Users will lose focus. You can’t prevent it. However, you should visually distinguish powerful functions so that you minimize the possibility of damaging errors. 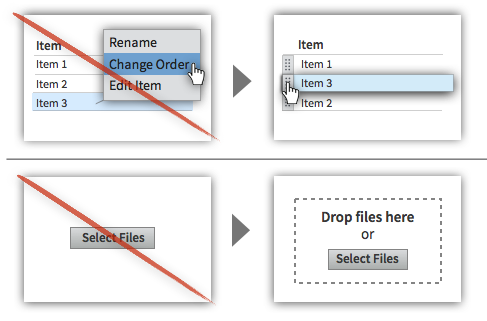 Always give users the option to return to a previous page or safe/recognizable area. For example, some drop down menus offer no escape hatch. When users click an option, they can’t leave it blank anymore. 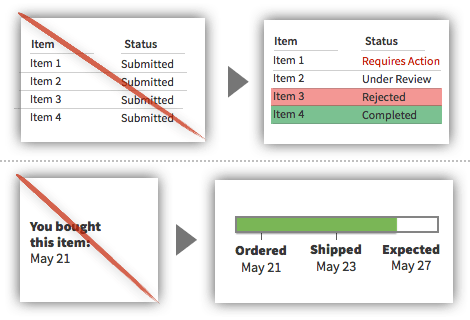 Users should be able to return to a sequence in the same position with the same data. Users aren’t perfect. They make mistakes with the cursor. 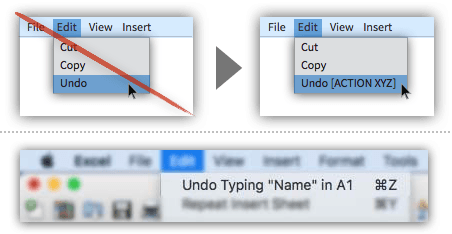 Create interfaces that are flexible and forgiving. 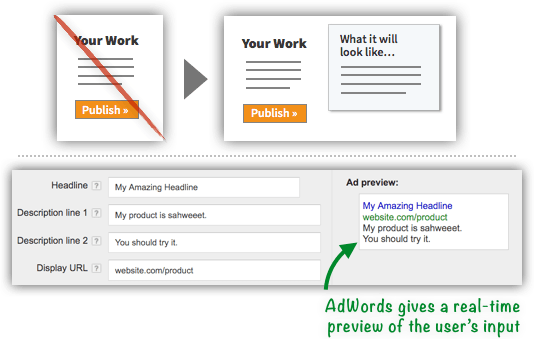 Oftentimes, users click items that aren’t clickable. Don’t fight those mistakes. Instead, add clickable functionality to those common areas. Never give a standard “there was an error” message. Explain the reason — and ideally the solution — to the error. Remind users of their past actions in your interface. Always iterate and improve your interface. Use these tactics to get started. I usually focus heavily on academic research. However, web usability is evolving so quickly. So I couldn’t find many useful and timely studies. 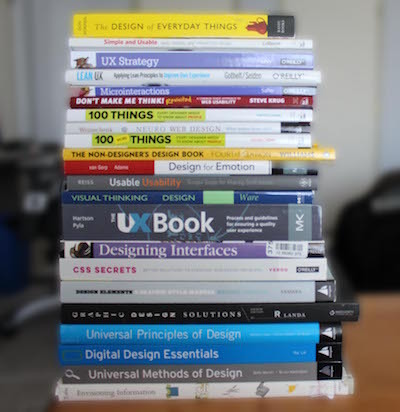 Instead, I compiled these best practices by reading a bunch of UX/UI books. I read those books from cover to cover, looking for concrete actionable tactics. Afterward, I supplemented my list by (a) going through online guides (e.g., GoodUI has a great list) and (b) studying current platforms with strong reputations for usability (e.g., Mailchimp). I organized this article by categories and strategies. However, you can download a summary PDF organizing the tactics by design elements (e.g., forms, buttons, etc.). 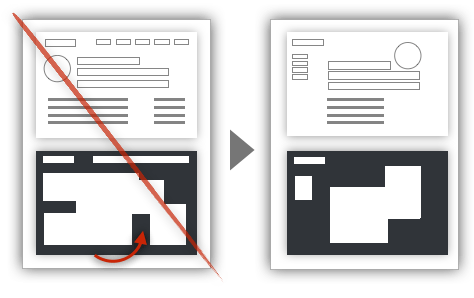 Whenever you’re designing those elements in your interface, you can reference the PDF. Also, this list is just the beginning. Moving forward, I’ll be adding new tactics periodically. In the meantime, though, you can read my article on conversion optimization to further optimize your site.